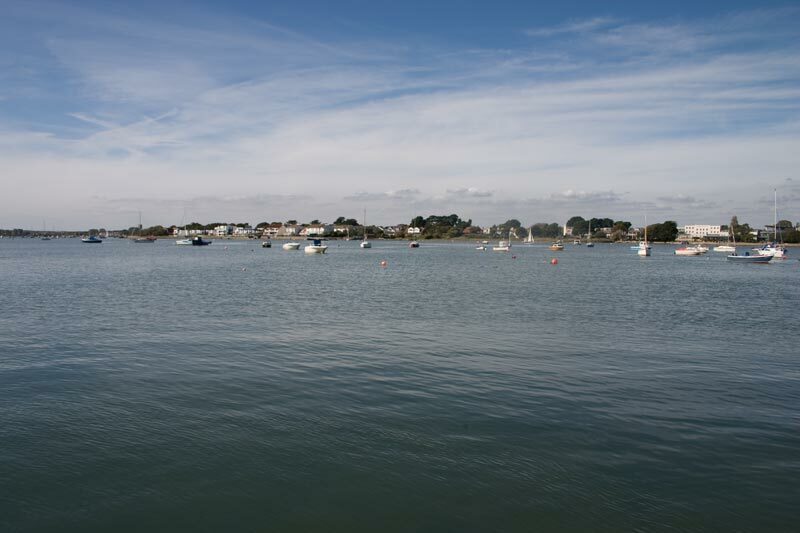 Mudeford Quay is at the mouth of Christchurch Harbour, Dorset. 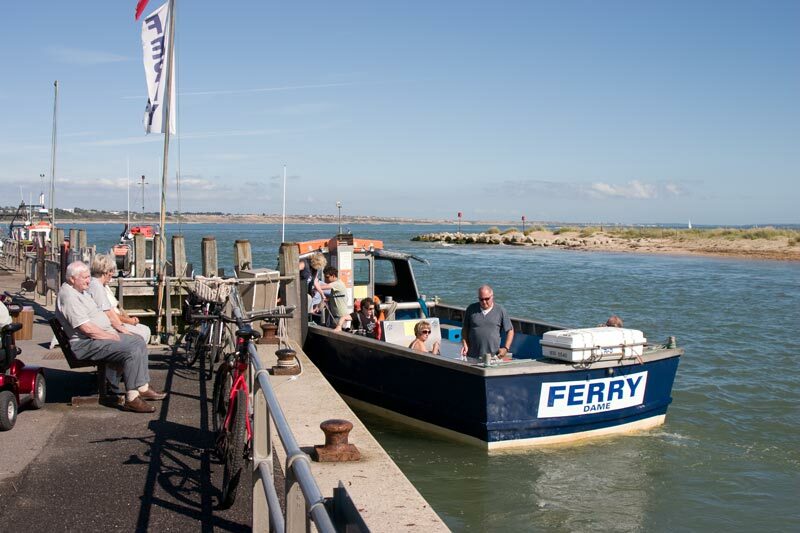 This ferry operates across to Mudeford Sandbank the other side of the harbour mouth. 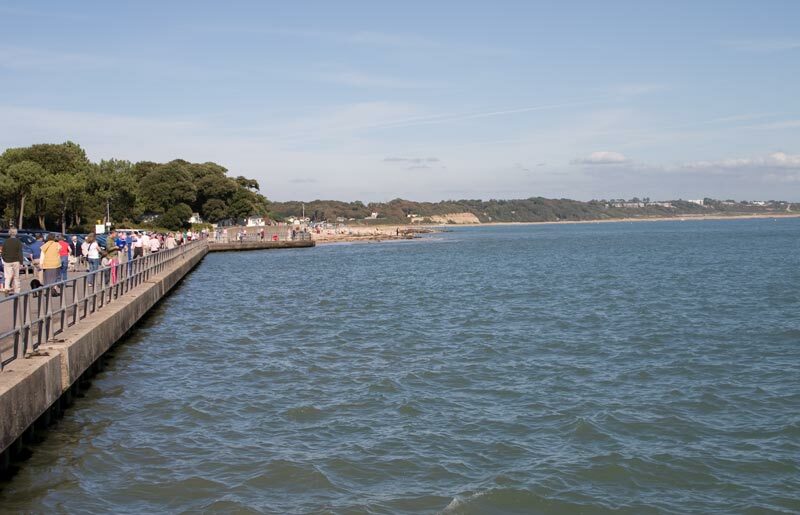 There was quite a strong current running here so you wouldn't swim across! 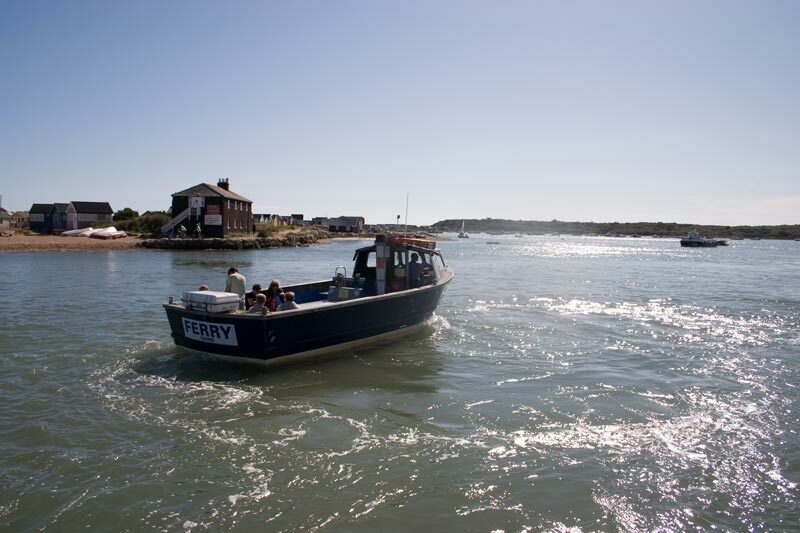 The ferry making its way across with Hengitsbury Head in the distance. 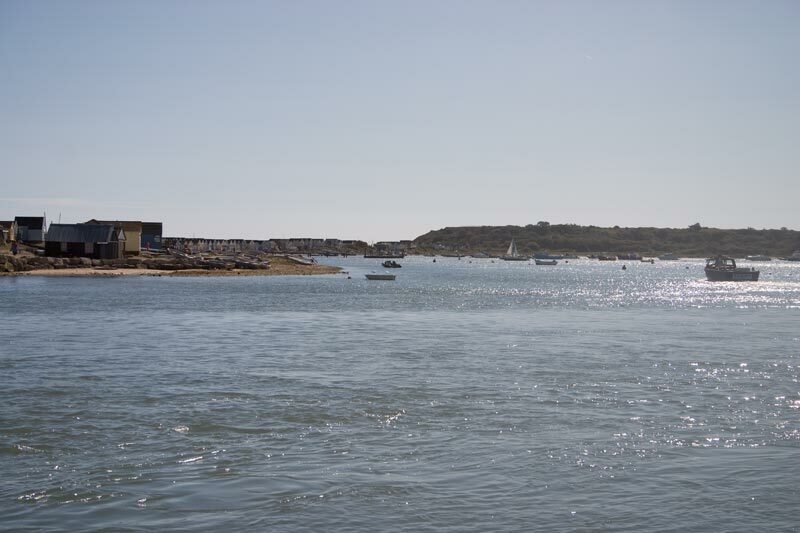 Another view across the harbour to the Sandbank and Hengistbury Head. 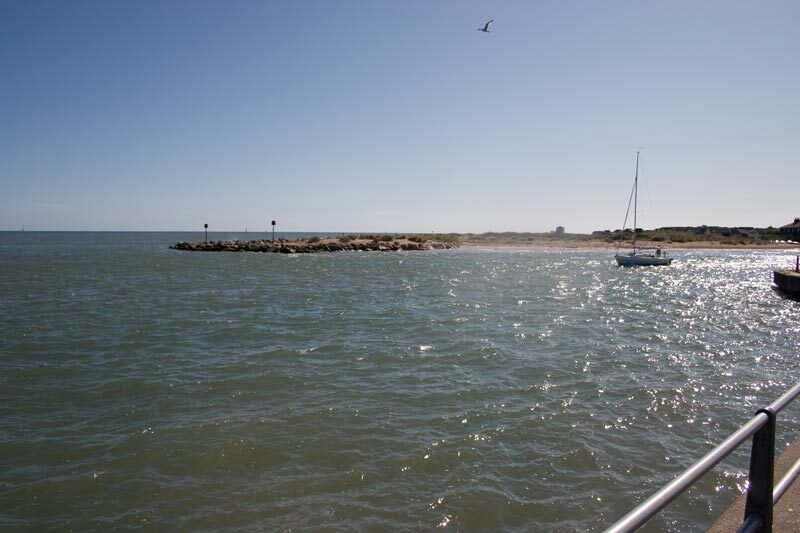 You can see from the water that the current is strong here. 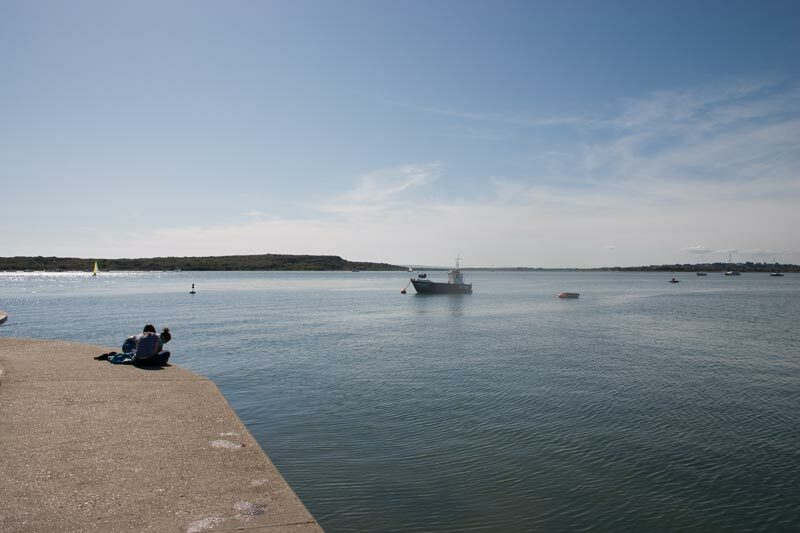 Christchurch Harbour is a sizeable natural harbour part of which can be seen in these two photos. 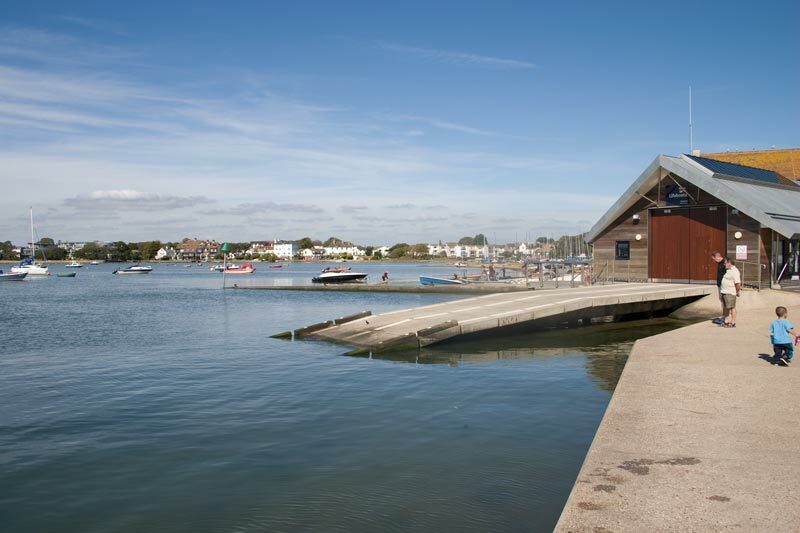 There is a lifeboat station for an in-shore rescue boat on the harbour side of the Quay which has two faces, the harbour and the sea. 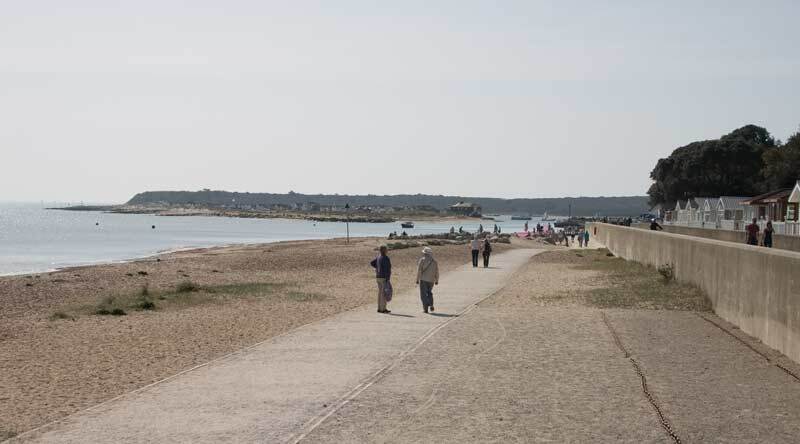 Another view across the harbour with two girls fishing for crabs on the quayside and Hengistbury Head in the background. 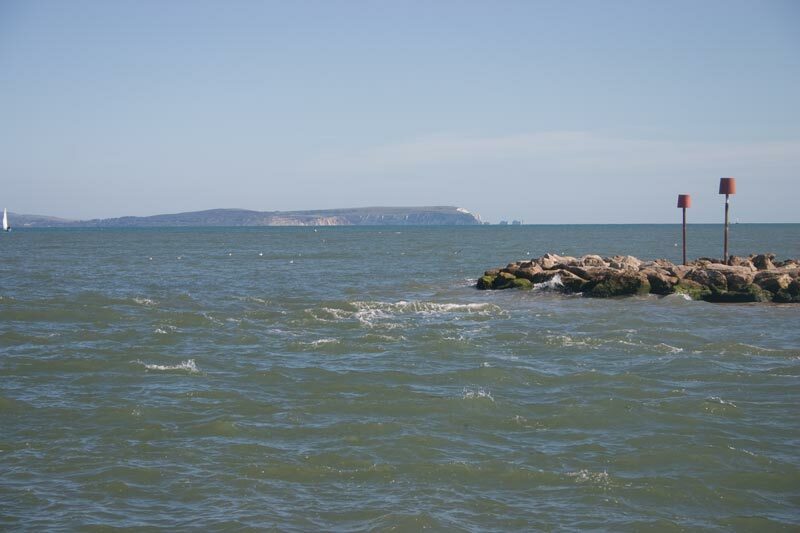 Back to the seaward side this photo of the harbour mouth has The Needles and the Isle of Wight in the background. Looking the other way a small yacht is leaving the harbour. 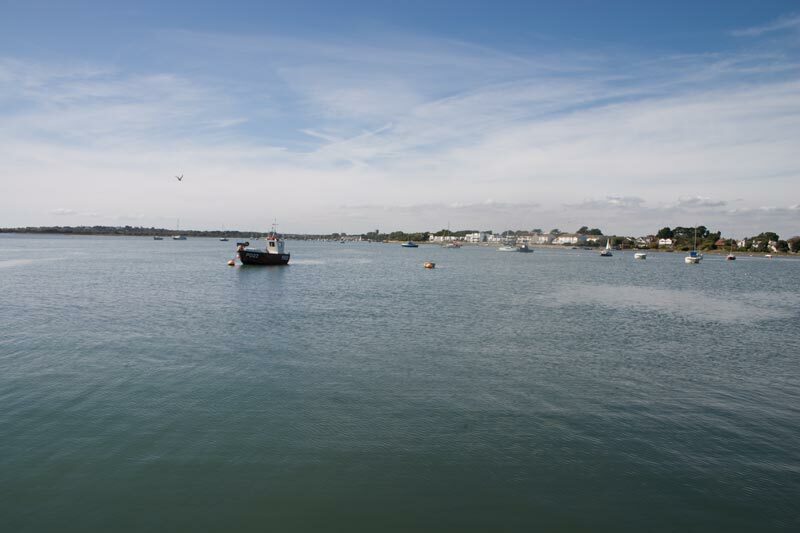 Looking along the quay towards Avon Beach . 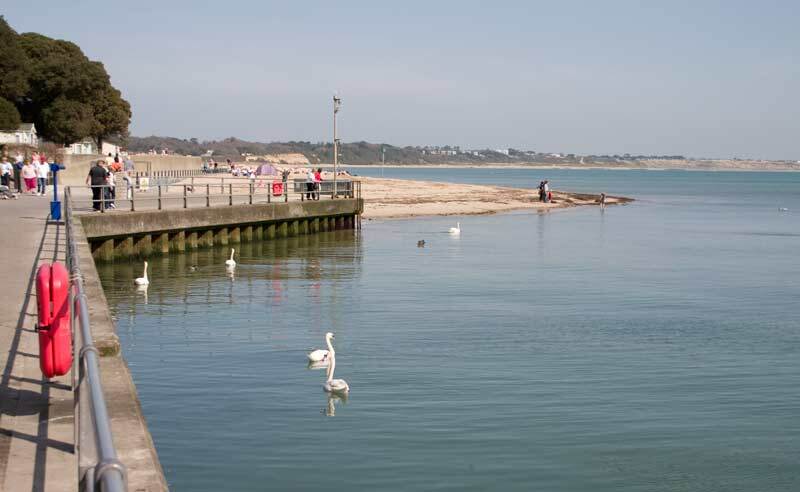 Further along this view has a few swans on the sea at the end of the "quay". 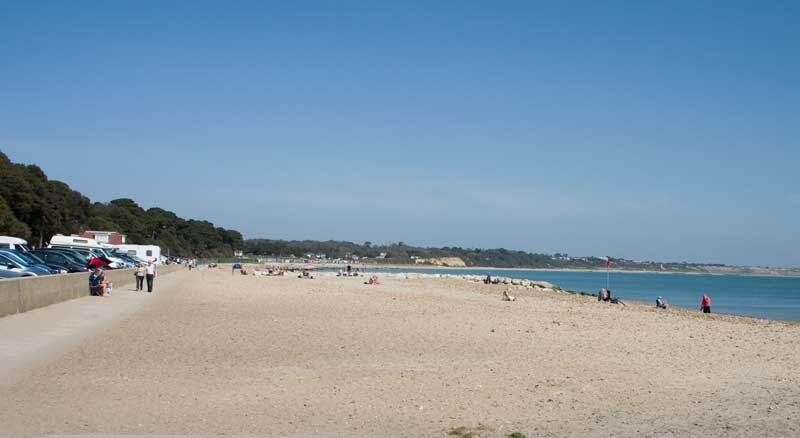 Avon Beach, a good sandy beach with lovely views. 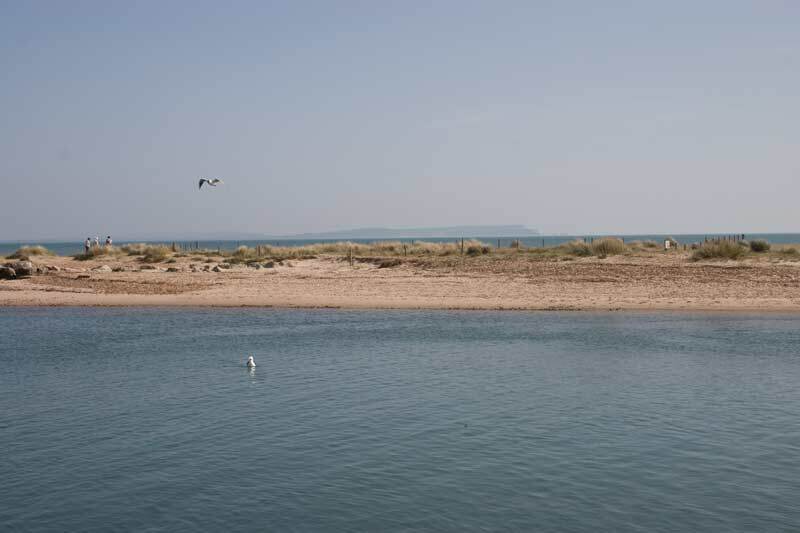 Looking back to Mudeford Quay from Avon Beach past the little "headland" that separates them. 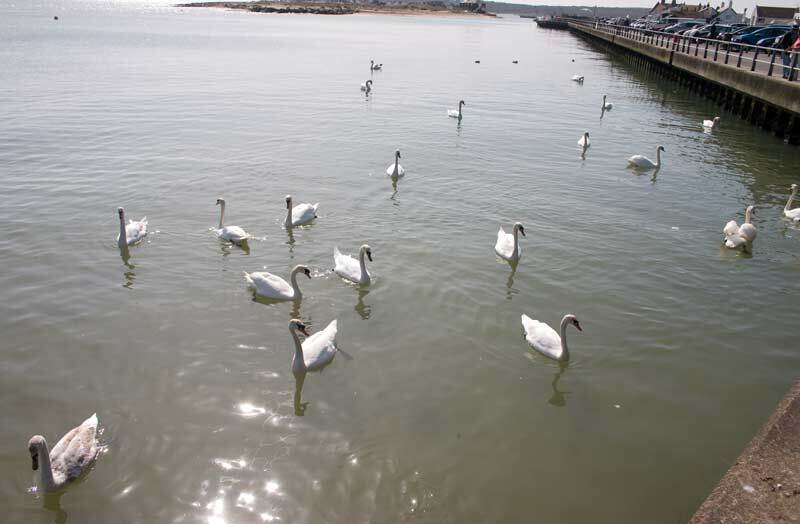 As we walked back the number of swans had increased dramatically, there's 20 in this photo! Rare to see them on the sea but there must be good feeding around here. 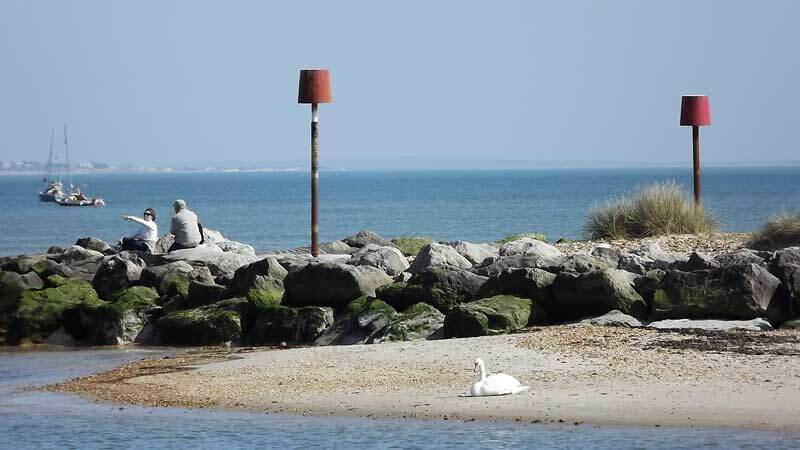 The beach on the spit opposite Mudeford Quay with the Needles in the background. 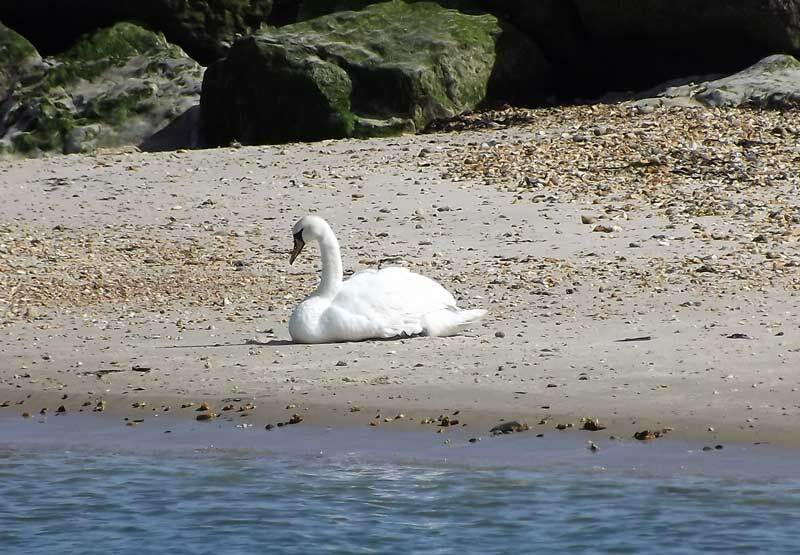 One of the swans had settled on the beach for a rest. 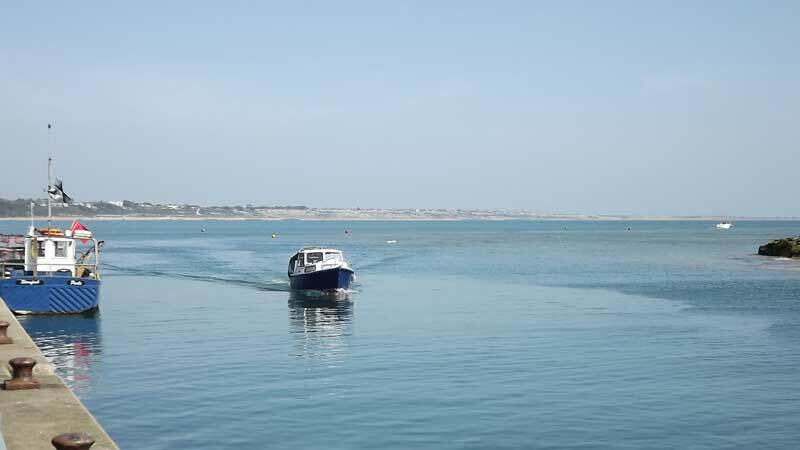 A boat making its way into Christchurch Harbour at Mudeford. 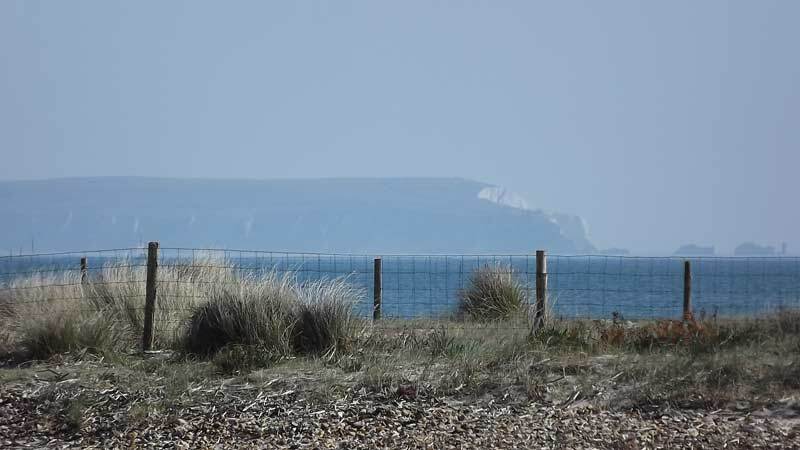 A last one for now, the Needles seen across the beach and harbour mouth.